We grow horseradish and keep bees for honey, we press & bottle our own apples all of which are incorporated into creating our unique flavours. It may mean more work but the reward is worth it, these flavours are all from Tewkesbury. We only ever take what we need as and when we need it, we only extracted honey once a year (sometimes twice) leaving our bees enough food for themselves. Horseradish is always replanted, any waste horseradish is given to butchers and deli's for sausages. We try to make all of our products as environmentally friendly as possible by using recyclable materials. Working with Tewkesbury businesses and having an end goal of being able to employ locals and give back to the town is why we started our company back in 2013. Most products produced by us are 100% recyclable. 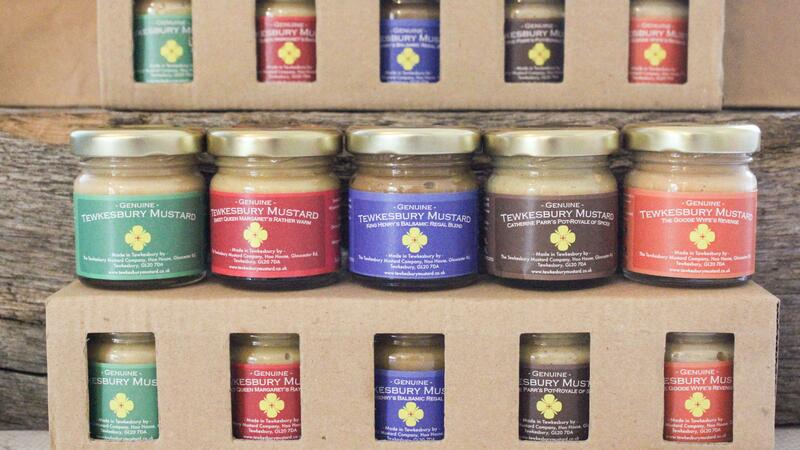 Dating back as far as the 16th century with links to Shakespear, Tewkesbury Mustard has great history & provenance. 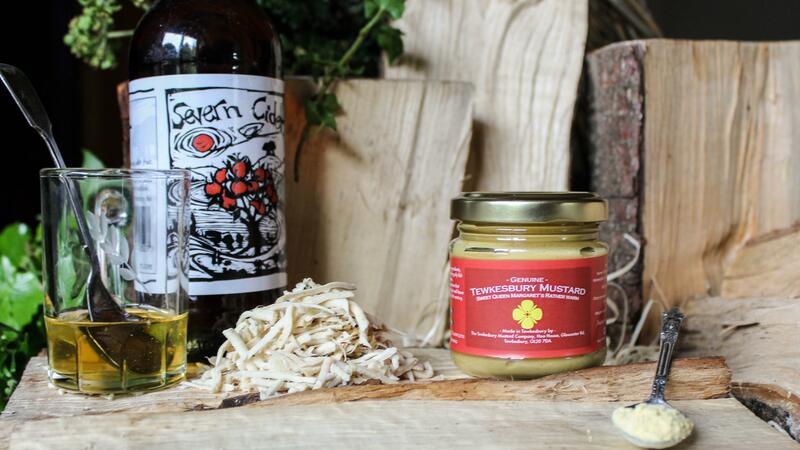 Our mustard premises is based in a domestic house in Tewkesbury, we are a small cottagers industry. 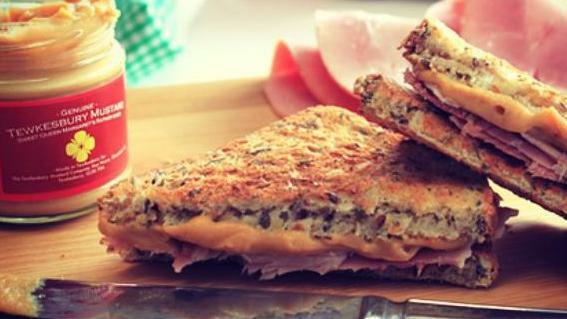 Researchers from the University of Manitoba in Winnipeg, Canada, found that the antimicrobial properties of mustard seed are so strong that, when added to hamburger meat, it could kill E. coli bacteria. Horseradish is a food that is low in Saturated Fat, and very low in Cholesterol. It is also a good source of Calcium, Magnesium, Potassium, Zinc and Manganese, and a very good source of Dietary Fiber, Vitamin C and Folate.